Movement is our best feel good Rx. 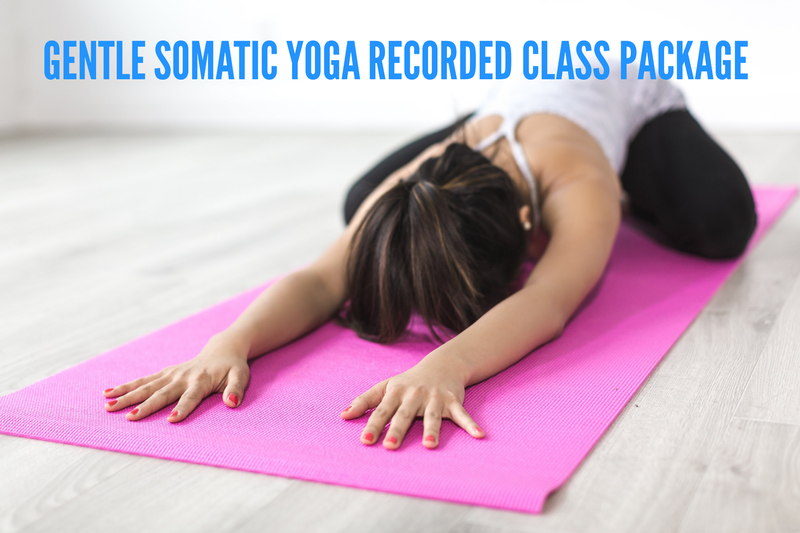 Gentle Somatic Yoga Class is a very gentle, yet powerful way to release the tension you are holding in your body, reducing aches and pains and increasing flexibility. This class is done on the floor. Gather lots of pillows to support yourself and get your relax on! Let's strengthen those weak muscles and cinch in and up. The only weight we use in these classes is our own body weight to create tight, toned, strong and flexible bodies. Coordination is not required. These classes are non-impact and joint friendly. Did I also mention…fun! These walking classes will teach you how to get more out of your walk...more calories burned, more cardio conditioning, more inches lost all over your body. Whether you are doing these fun, walking classes or just walking during your day! 30 Day Body Transformation Recorded Class Package! All classes have been fabulous! I have had a variety of Renee’s packages, and they gave ALL been fabulous🎉 I have done walking classes, stretch classes, 15,30 and one hour classes. The recorded packages work best for me because I can use them when I travel. And bless her soul, Renee will often throw on a few extras, just because!!! I met Renee' in 2013 when my doctor suggested I seek her help to rehabilitate a shoulder injury I had sustained the previous year. She was the first healthcare professional since my injury to believe in my recovery. My work with her accelerated my recovery tremendously, and the fringe benefit was that I also reshaped my body! I even won my category in T-Tapp's 60-Day Challenge contest in 2014. Renee' is always looking for ways to incorporate the latest fitness science into her work and is one of the most giving and loving people I know. Whether it is T-Tapp or Stretch and Sculpt, I can confidently rely on Renee' to bring me the best training in the industry. I am most grateful to have found her! I love Renee's spunkiness, transparency and compassion! I have had Teresa Tapp's DVDs for a couple of years, I love her work outs, however, I had a difficult time keeping up with her, until I discovered Renee's T-Tapp approach. I love the walking work outs. I recently obtained the Ladybug work out, and of course had a difficult time getting through it. then by coincidence, Renee started a Ladybug challenge on her facebook page, I incorporate the two and am having success! I love Renee's spunkiness, transparency and compassion! I feel the walking workouts are the best, but am discovering the stretching classes to be most beneficial! love you Renee! Renee has a talent for instruction like no other. I stopped working out or doing any type of activity years ago after an auto-accident and what a mistake. Two years ago I started having horrible Sciatica pain and sought Chiropractic services. It helped relieve the pain, but it kept coming back. I do not have any physical back problems according to an MRI. It is all due to a lack of inactivity and a sedentary life. I started moving again with Renee attending her Sculpting & Stretching sessions 2 months ago and now I am pain free! Renee has an unbelievable connection with her clients and knows exactly what you need when you explain your symptoms to her. Did I mention the inch loss you get with the Sculpting & Stretching? I have lost 6 inches and 11 lbs. Renee has a talent for instruction like no other. You will be very pleased with your results and how quickly you see your body change. Doing the variety of moving and stretching with Renee jump started inch loss for me. Doing the variety of moving and stretching with Renee jump started inch loss for me. I'm getting more energy and tone, while also losing some weight. This has been important in not getting discouraged and giving up. I like the options of sculpting and then doing floor to keep going. The combination has been a winner for me. Time spent with Renee in her classes is time well-spent. I've taken classes both in-person and via video with Renee for many years. 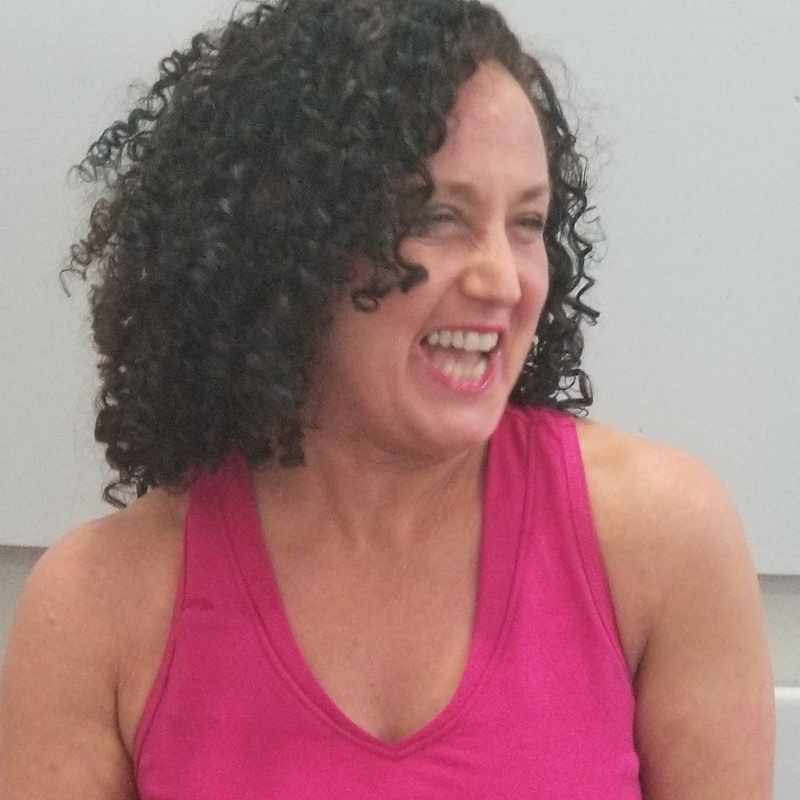 She is a wise, sensitive and knowledgeable trainer who meets you where you are physically and encourages (rather than pushes) you to do the best you can. She sees what you're doing right or wrong in your movements (yes, even on a video link!) and helps you make the little tweaks that make a big difference. Her analysis and descriptions of movements are very clear and detailed. Best of all, Renee's a delight to be with, communicating her joy in her work with a cheerful voice and a smile. Time spent with Renee in her classes is time well-spent. Renee's coaching has helped me drop a dress size to fit into a snug Mother of the Bride dress! I have been working out with Renee consistently for the last 6 months. Renee has a gift for making a class feel like a one on one, even though I participate in the recorded classes. Her coaching has helped me drop a dress size to fit into a snug Mother of the Bride dress! She truly is a T-Tapp Whisperer & a Fitness Mentor that delivers results! Call me an addict.. a really healthy, sculpted, stretched and relaxed addict! love the classes with Renee. Because of the time difference, I can only do the recorded classes. It makes no difference, I still feel that she is talking to me! I love all of the classes (yes, even the ones that are my least favorite) because Renee is so thorough in her instructions and encouragement. My body is slowly changing and I feel so much stronger and younger. I carry myself in an entirely different way and so much taller too! LOL. Yes, go ahead.. call me an addict.. a really healthy, sculpted, stretched and relaxed addict! I’m so grateful for Renee and totally hooked on her classes!! I have been T-Tapping for over six years. For the past three years, I have been learning from Renee during her live and recorded classes. I have become addicted to Renee’s stretching and activation teaching style. I am so much more flexible, and my balance is greatly improving. Since I am in my 60’s, these two things are greatly important to me. I feel that I am aging backwards and able to keep up with my two young grandsons because of attending Renee’s classes. I feel that participating in Renee’s unique on-line classes is one of the very best things I do for myself. I also enjoy the walking classes for an aerobic full-body workout. Renee’s on-line class packages are my perfect answer for getting the right balance of full-body movement, balance work, and muscle activation. I’m so grateful for Renee and totally hooked on her classes!! Thank you, Renee!! Renee's classes are truly one-of-a kind. Renee's classes are truly one-of-a kind. The knowledge and expertise she brings to each class makes them above and beyond what's expected. I have experienced a variety of health benefits including stress relief, inch loss, improved quality of sleep, along with my muscles being in a more relaxed state. No need to go to the gym. It's a wonderful privilege to be able to get amazing training right in your own home!